I have managed to do what the manufactures claim is impossible, that is to set fire to a Lifepo4 pack resulting in the complete destruction of my little Fiat 126. The heat was so intense, even the gearbox casing near to the batteries melted into a puddle under the car. The glass in the doors actually melted and ran down the inside of the doors! This happened early this month (Feb 2009) during the middle of the night. No one saw it go up or even reported the fire. By the morning it had completely burnt itself out. One of the battery boxes was still slightly warm when the car was discoved at 7:30am. I consider myself lucky that no other property was badly damaged and that no one was injured or even killed in the blaze! It could have been a lot worse! Ye Gods, Greg, bloomin' good job no one was hurt, and that it was far enough away from any property to cause major damage. Any guesses as to the cause? That's a real shock Greg, especially as you obviously put a lot of thought and care into your conversions. I'll be very interested to hear what you think went wrong. I was especially mortifed by this as you can all imagine. Greg and I have worked hard on our own BMS design, and I am haunted by the dreadful thought "Was it my fault?" We have discussed all this in private a fair bit over last few weks. I'm still using and working on my design and I do have faith in it. I think Greg does as well. The problem is the car has been so badly damaged we will never know the exact cause. What I have decided to do is add cell temp monitoring to each cell and add a function to the BMS Master board to detect any drop in pack voltage when charging. Greg and I have discussed the fact that if one of his cells had started to fail and go short circuit internally, then the system would fail to detect a problem, and could allow his charger to go back to the CC phase if the voltage dropped pouring oil onto the flames, or current into the system. That's a sorry sight to see. It's a pity there are no clues left as to the cause. It looks quite cold there in the photos.....could the weather conditions have been a factor. This thread has been rebuilt after the server outage. Follow-up notification may be a bit screwy. Crikey Greg, that's terrifying! I missed this story last week. Tell us what went wrong, if you ever find out. Oh my lord, that's devastating I'm sure. Really sorry to see such a disaster, but it;s a relief the damage was only to the car it could have been much worse. Going to be nigh on impossible to figure out what went wrong. I have to say though it;s not the first time. Alan Ward had his battery ride on mower go up in flames too. 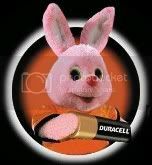 I'm not at all keen on these batteries, seems rather too common these incidents to my liking. Thanks to Tim for restoring this topic after the server crash. I will try and give as much information as I can so that hopefully others don't have a similar experience. The car had been left on charge overnight. It was plugged in around 5:30pm, as soon as I arrived home, and would have finished the constant current phase of the charging after around 2 hours. The car was parked behind my house on a private road that serves about 6 houses. My neighbor reported the car was fine at 9pm when he arrived home. The car was discovered burnt out at 7:30am. No witnesses to the actual blaze and the fire department was never called. The car had 4 battery boxes. 2 boxes of 4 cells under the rear seat where the fuel tank was located and 2 boxes of 8 cells either side of the motor (right at the back of the car in the engine compartment). The car was originally a rear engine and the conversion had retained the original gearbox with the motor bolted to it in place of the engine. I noted that the right rear battery box still had some heat coming from it, rest of the car was cold, so I can assume that this was the last part to catch fire. It was a cold night, forecast was for -5C. The temperature could have been a factor as the charging temperatures are supposed to be above 0C. The batteries would have been above freezing for the constant current phase, but I have no doubt that they fell below freezing during the night while it was balancing. Probably mistake number 1. I have no way to know the actual fault, what I can say for certain is that the batteries were the "fuel" for the fire. The heat was intense. All the glass except one pane either shattered or in the case of the door glass, melted and ran down the inside of the doors! The gearbox casing and adapter plate, both alloy, melted into a puddle under the car. I decided that I would see if I could find the source of the fire. At this point I wanted to look at the 2 front battery boxes but that was difficult. The fire had disintegrated the tires and caused the springs to lose all their tension so the body was flat on the ground. In the end I used a strap to pull it onto its side with my van. Not easy on the icy ground! What I found was that the front battery boxes were also destroyed by the fire. It was not what I was expecting, they had obliviously burned as well, so what was the source of the fire? When I tipped the car on its side the contents of the left rear box fell out, the rest remained intact. Sifting through the remains I realized that the BMS circuit boards, one mounted on each cell, had been disintegrated at this battery box. The BMS boards at the rest of the boxes, while destroyed, were still intact. So it seems that the fire started here and burned the hottest at this box. Remember earlier I mentioned that one pane of glass remained intact. That pane was the left rear side vent, directly above the left rear battery box. It was found intact on the ground next to the car, with its fixings melted. So the fire would probably have started at that box, causing that pane of glass to fall out. The heat then spread under the car, catching the rest of the batteries and car on fire. The melted gearbox casing, mostly the left rear and the way the front spring bent under the heat also shows that the left side was much hotter than the rest of the car. So mistake number 2 would be believing that Lifepo4 chemistry is "100% safe lithium technology". All batteries pose a risk that can be easily underestimated. Even "safe" lead acid batteries pose a risk. Don't believe me, have a look at this link. 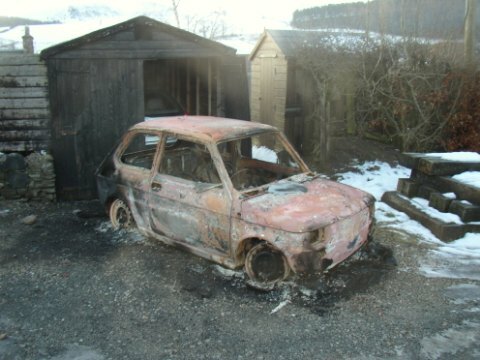 Scroll down a bit more than half way and you will find a picture of a Rover Metro/100 that burnt in remarkably similar situation as mine. That is, it was left doing an equalization charge on a January night in the Midlands when it caught fire. The batteries were Trojans. Point is we need to give all batteries the respect they deserve. Since EV typically need to be left on charge while unattended, a lot of though needs to be given to redundant safety systems. So what caused the fire? Peter listed possibilities above, so I will go through them. Arson? I don't think this is likely. They would have had to target one of the battery boxes to get this to burn like it did. An arsonist would probably have just thrown something in the car to set it alight. Any way no previous reports of arson in our area and it was bloody cold that night, no one seemed to be out. Rodents nibbling the wiring? Also not likely. This car was actively being developed and I would have spotted that. Wiring fault? I had given the wiring a good inspection the day before. Also the fault happened during the balancing phase and not the high current phase, so I think this unlikely. The mains supply in my garage has a RCD, which had tripped, as expected and a seperate 16 amp circuit breaker which did not trip. If the 16 amp breaker had tripped then the probability of a electrical fault could be considered more likely. Charger fault? This was my first thought. The charger was still to be mounted permanently to the vehicle, but I was looking at modifying it similar to the way Peter modified his Zivan charger to work with the BMS. The charger was sitting on the back seat, so my first though was that it may have caught fire, lighting the rear seat and then the rest of the car. The evidence doesn't support this idea though. BMS fault? In my opinion this is one of 2 strong possiblilties. I was using the BMS in the Analogue mode. This was working fine, but one of the weaknesses with the system is that it is very difficult to verify all the boards are working all the time. It is possible that one of my boards stopped working, and allowed one of the cells to overcharge. These cells will swell if overcharged. Hipower gave no instructions as to these cells requiring strapping, so any swelling could have caused the battery box to break and may have allowed a short to develop. Cell fault? The other strong possibilty is a faulty cell that simply shorted and started the fire. In either of the last 2 cases I think my charger setup contributed to the fire. The BMS simply switched off the charger when any cell reached 3.75 volts and back on again when the cell went back down to 3.6 volts. Every time the charger switched back on it had to work out the state of charge of the pack. This worked fine, but if one of the cells had shorted and dropped the voltage a couple of volts, the charger would have gone back into the constant current phase, in effect "pouring fuel onto a fire". A safer method would have been Peters approach to controlling the charger. A sudden drop in battery voltage would probably have caused the charger to recognize this as a faulty battery and switched off. Also some form of temperature sensors to shut down the charger in case of a fault would also be a good idea. I do still have faith in Peters BMS system and I hope others can learn from my mistakes. Must admit I'm er'ing on charger fault I think rather than battery fire, yes they did burn but from what I've read about the Lipo's they do seem pretty bomb proof. As you say we have to be careful with any battery, I've seen a couple of the old Bedford CF's go bang in a big way to back in the 80's and they wer'ent nice either. First the insurance question. My policy doesn't cover faulty components but will cover damage caused by faulty components. So, since the battery and or charger was the likely cause of the fire they wouldn't be covered. Next most expensive component was the motor, around Ã‚Â£650 (ex vat, and since this is on a commercial policy they don't remeberse VAT). Then factor in Ã‚Â£500 excess and loss of no claims bonus and claiming really isn't worth it. If I had implemented Peter's digital bms system with remote data logging and could show the fault was a particular cell then I would have a good case for a claim. So keep that in mind when implementing any sort of BMS. The cells were Lifepo4, not lipo, which are supposed to be even safer than lipo. The manufacturer's claims make it appear that they are 100% safe and impossible to catch fire. I seem to have achieved the impossible! A popular topic on various forums is using these cells without a BMS or with a very simple system. I think that this example shows that this is not the case and that if you venture outside the cells performance specification you will have trouble. I would agree that the charger was at least a contributing factor, but that also some destructive testing of these cells would be a good idea to find out how safe they really are and what conditions will cause a fire.